Inspiration struck. We were sent a package of Dandies Mini Marshmallows, which just happen to be vegan. And I just happen to be going to a potluck at a friend’s house, and she also happens to be vegan. Chocolate was in the pantry, nuts and some peppermint candies and voila! 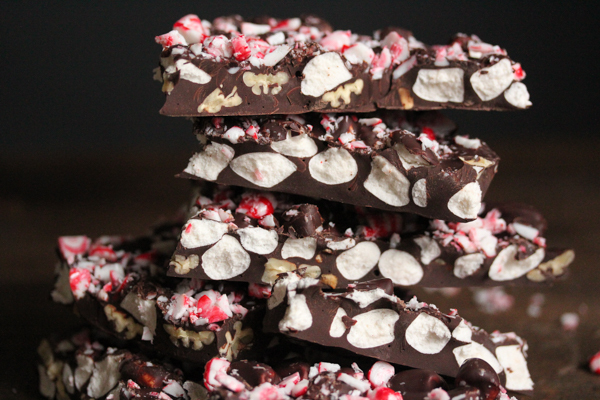 The concept of Peppermint Rocky Road Chocolate Bark sprung to mind. Twenty minutes later it was ready to chill and set. I used a 70% bittersweet couverture chocolate to offset the sweetness of the marshmallows. Toasting the pecans adds extra crunch and flavor. 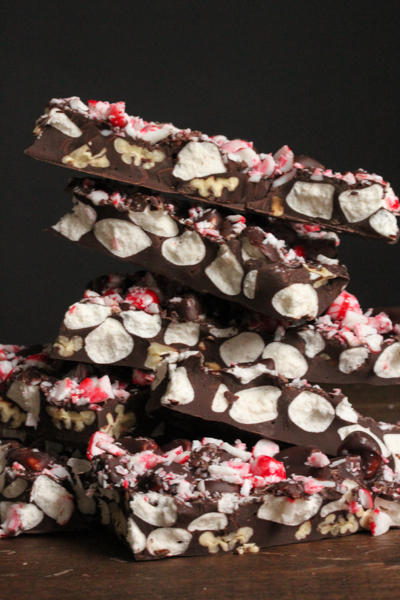 There are very few ingredients, so choose and treat each one well and you will be rewarded with a mash-up of rocky road and peppermint bark that is greater than a sum of its parts. You will note that the recipe makes 2 1/2 pounds of bark. 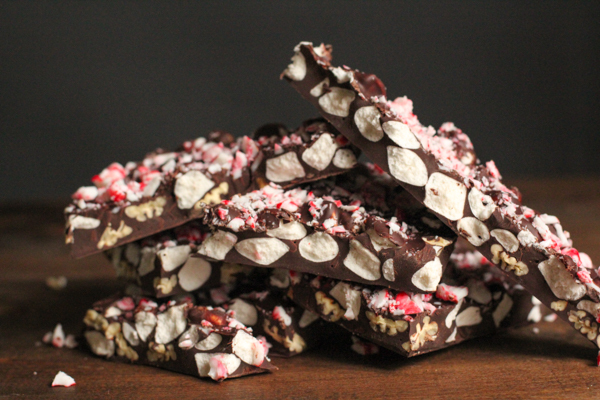 Chocolate bark is often sold by the pound – I think because it is near impossible to figure out how many people this feeds! I mean how hungry are you? As a guideline, you can tuck a quarter to a third of a pound into treat bags for a small serving. Half a pound is generous and will be much appreciated. Line the inside of a 9 x 13 inch pan with foil with overhanging ends, smoothing foil as much as possible along bottom and sides of pan. Melt the chocolate in the top of a double boiler or in the microwave until almost completely melted. Remove from heat and stir gently to melt remaining chocolate with residual heat. Stir in peppermint flavor. Fold in marshmallows and nuts until combined, then scrape into prepared fan into an even layer. Sprinkle peppermint candy on top. Chill briefly in refrigerator until firm and set. Lift foil by overhanging edges and bring entire block of bark to a cutting board. Peel foil down and away so that you have the bark naked on your cutting board. Pick up and use hands to break into large slabs. 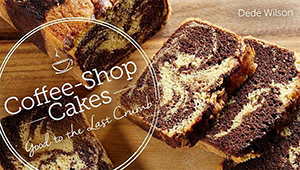 Refrigerate in airtight containers for up to 1 week. Bring to room temperature before serving. For a very clean, authentic peppermint flavor, we like to use the Boyajian Peppermint Flavor mentioned or pure peppermint oil, in which case we like LorAnn brand. 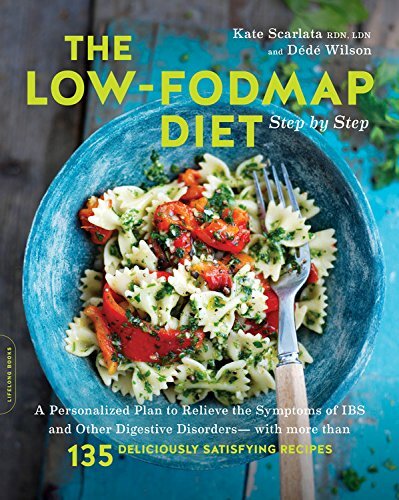 Peppermint extract is much less potent and doesn’t taste as much like real mint.